DULUTH, GEORGIA, UNITED STATES, February 11, 2019 /EINPresswire.com/ — Local health system Eastside Medical Center has been named as an official and category-exclusive marketing partner with the Business RadioX studio located in Gwinnett County, GA. Eastside Medical Center is now the presenting sponsor of the studio’s longest-running and most popular show “Gwinnett Business Radio” which airs live every Thursday at 10:00 AM ET and is also available 24/7 on the Business RadioX website. Launched in 2012 and hosted by Mike Sammond and Steven Julian, “Gwinnett Business Radio” interviews local business leaders every week. As the presenting sponsor, Eastside Medical Center will receive extensive on-air and digital media exposure during the program and on the studio’s website and social media platforms. In addition, one episode each month will be dedicated to covering topics specific to healthcare with guests that will include Eastside Medical Center leadership, physicians and hospital partners. The partnership also includes Business RadioX providing media coverage of Eastside Medial Center ribbon cuttings and other special events with the taping of on-site interviews that can air on the weekly show. There are also opportunities throughout the year for the show to broadcast live from the hospital’s main campus in Snellville. Eastside Medical Center has been a healthcare leader for more than 39 years, providing quality care to patients in Gwinnett and surrounding counties. Eastside is a 310-bed, multi-campus system of care offering comprehensive medical and surgical programs including cardiovascular, neurosciences, oncology, orthopedics, robotic surgery, rehabilitation, maternity with neonatal intensive care, behavioral health, bariatric, urgent care, and 24-hour emergency care at two locations. Their medical staff of 500 board-certified physicians, 1,200 employees and 400 volunteers is committed to providing the community a healthcare system of excellence. For more information, visit www.Eastside Medical.com. 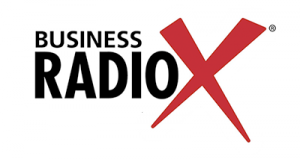 The nation’s fastest-growing online B2B radio network, Business RadioX allows businesses to “Get the Word Out” about the great work they’re doing for their market, their community, and their profession. Interviewing local business leaders every day in their studios across the country, Business RadioX offers a “pro-business” slant and a long-form interview format where guests don't have to worry about being ambushed or talking in "sound bites". Business RadioX hosts are business professionals interviewing their peers, drilling down on the critical issues, and delivering practical information to an engaged audience. For more information, visit www.BusinessRadioX.com.